Inspired by his travels of Europe, through which he managed to experience some incredible tasting beers from the continent, John Hall launched Goose Island Beer Company in 1988. Now one of America’s most popular craft breweries, Goose Island operates from Chicago, a city that was at the time an ideal start with plenty of rapidly evolving tastes, also aided by the the largest fresh water system on the planet. 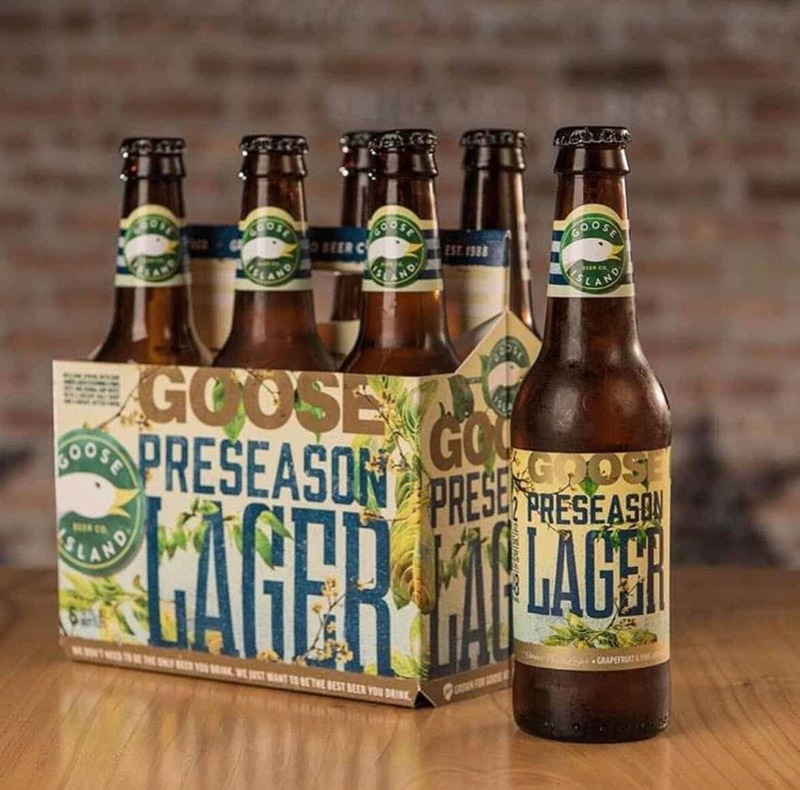 Launched as a limited release earlier this year, Goose Island’s Preseason Lager joins a number of excellent core beers (their Honkers Ale, in particular). A relatively new addition, their amber Preseason Lager was brewed to coincide with the end of winter, awaiting the arrival of spring. When poured from the bottle, Preseason Lager has a medium copper complexion, topped with a soapy head. On the nose, prominent notes of caramel and toffee are balanced with bread malt and earthy, woody hops complete with aromas of pine resin. Somewhat unexpectedly, all of the aromas on the nose continue and flourish on the palate. Flavours of sweet caramel are joined with a bold malt profile that’s followed by a modest hop bitterness and whack of alcohol potency, each persistent on the finish. Like many of BrewDog’s seasonal offerings, Goose Island’s Preseason Lager makes no attempt to hide the relatively high alcohol content. That aside, this particular lager is well-balanced with a medium body and pronounced malt character. A welcome relief from the saccharine, effervescent Continental lagers popular in the UK, or recent plague of light beers. Further information on Goose Island Beer Company can be found at gooseisland.com.